David Norman - Joe Spenser Award 2016: David Norman was a four-year football letterman at Austin College and was a member of the College’s 1981 NAIA national co-champion team. Upon graduating in 1983, he continued at Austin College, earning a master’s degree in secondary education in the Austin Teacher Program. 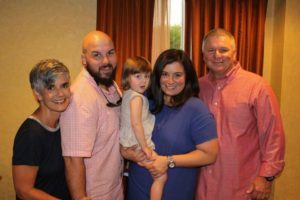 David began his career in the Denison Independent School District, where he spent five years working as head women’s track and field coach, assistant varsity football coach, and elementary physical education teacher. In 1989, David returned to his alma mater as an assistant professor in what is now the Department of Exercise & Sport Science. He also was named head baseball coach and an assistant football coach, serving as offensive coordinator under head coach Mel Tjeerdsma. 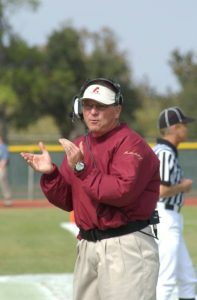 In 1994, David was named head football coach and assistant athletic director at Austin College, working under Bob Mason. In 2006, David stepped down from coaching and devoted himself to work as associate athletic director. In 2010, he was named director of athletics and chair of the Department of Exercise & Sport Science, positions he continues to hold today. David stepped back into coaching briefly in 2013, leading the women’s cross country program in its first season. David has received many honors for his work at the College, including the Social Sciences Division Award for Service, the Outstanding Sponsor Award for his work with Fellowship of Christian Athletes, and the Outstanding Greek Sponsor Award for service to Phi Sigma Alpha. In 2013, he received the Cindy Curtis Bean Service to Alumni Award.